The Barkley Companies have a strong affinity for the communities in which we operate, and we’re focused on helping to create a great environment for our employees and their families. Our management and staff are dedicated to enhancing the community by volunteering countless community service hours and providing financial support to organizations we have chosen to partner with. A strong agriculture industry means a stronger community. The Yuma Community Food Bank’s Mission is to relieve hunger, increase self-reliance and improve the quality of life for children and families throughout southwestern Arizona. Our customers need us to continue what we do and to be there every step of the way. In order to maintain services YCFB accepts donations in terms of funding, food, and time – all things that people that are not hungry take for granted every day. Hospice of Yuma has served the community since 1981, providing compassionate care for many terminally ill patients and their families. We focus on helping patients and families cope with what they fear most about dying – being in pain, being alone, losing control, and being a burden to others. For patients, hospice care offers emotional and spiritual support and state-of-the-art medical care, tailored to the patient’s wishes to remain at home, as pain free and comfortable as possible. The Yuma County 4-H gives youth that extra edge for life success by offering numerous opportunities to develop leadership, responsibility, citizenship and other life skills. 4-H helps develop competent, caring and actively engaged citizens who strengthen Arizona communities. Through our research-based curriculum and university ties, 4-H opens a world of possibilities to youth and their parents who want to explore their interests — from aerospace to gardening to dog care to robotics to horse to any project you can imagine. 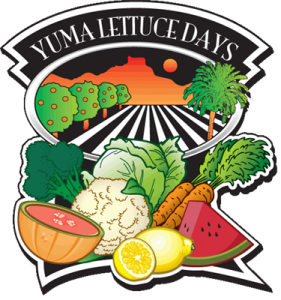 Yuma Lettuce Days is a perfect opportunity to celebrate Yuma’s agricultural industry and to learn the importance of agriculture to our community! Our culinary festival incorporates Yuma produce, gourmet chefs, restaurants, cooking demonstrations and more. The Quartermaster Depot State Historic Park couldn’t be a better venue. With the new agriculture museum as well as the new display highlighting the Yuma Siphon project, the Quartermaster Depot offers guests an opportunity to learn more about the history of agriculture in Yuma County. Providing opportunities to help FFA members grow and succeed is the work of the National FFA Foundation, which supports the National FFA Organization and education-related organizations associated with the National Council for Agricultural Education. 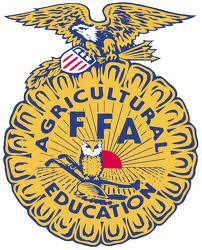 Barkley Ag Enterprises is pleased to be an ongoing support of the FFA Foundation. The Yuma County Ag Producers Scholarship is for students attending or planning to attend Arizona Western College, University of Arizona in Yuma or UA in Tucson with an agriculture or an ag-related major. 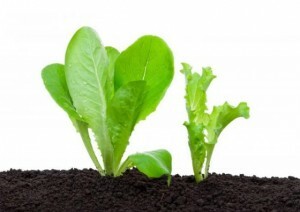 Science and engineering majors intending to pursue an agriculture-related career are also eligible for consideration.